The report outlines Nexign’s strategy direction in the global BSS market and the company’s value-based approach to the digital transformation of communication service providers (CSPs). Analysys Mason highlights key advantages of Nexign’s portfolio of offerings as well as the strengths and opportunities that allow CSPs to achieve sustainable growth. CSPs that embark on the digital transformation journey are focused on both business and financial outcomes. From a technology perspective, this is driving CSPs to demand systems that are cloud-native compliant and backed up by open architecture frameworks and DevOps and CI/CD delivery models. Vendors such as Nexign are well positioned to help CSPs in this journey by virtue of their broad telco experience in monetisation and customer experience systems as well as their value-based approach to digital transformation that emphasises ROI expansion. Nexign’s cloud-compliant vision combined with its emphasis on partner ecosystems, business-driven innovation, open architecture and TCO optimisation have positioned us well to effectively support service providers to become successful DSPs. 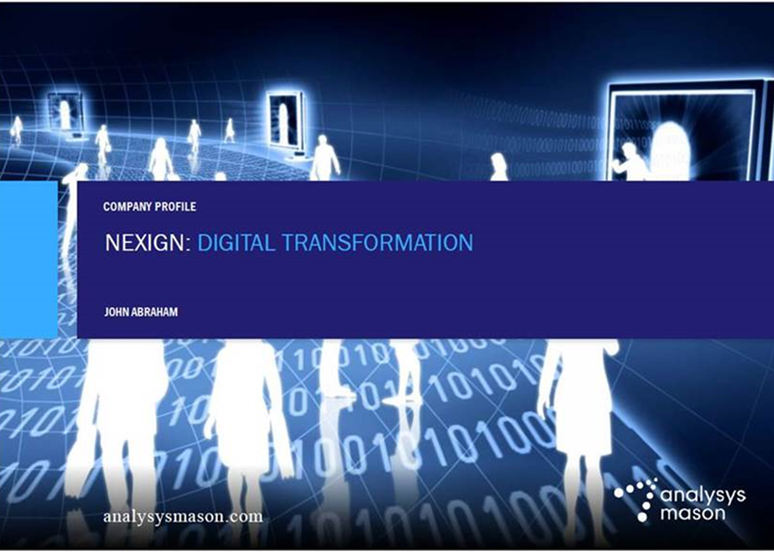 Alongside with providing business value to our clients for 26 years we always deliver a solid pipeline of innovative solutions for telecom market and we believe that the report of Analysys Mason is a reflection of Nexign’s strengths and capabilities. I hereby confirm that the personal data I am submitting to PETER-SERVICE, JSC are accurate and grant PETER-SERVICE, JSC and its duly authorized representatives permission to process it for purposes of providing me with Gartner “Magic Quadrant for Integrated Revenue and Customer Management for CSPs” Report and for statistical purposes.